Filthy kernt went on a dirty, no wonder he was kicked out. Hope they make an example of him. Soften his cough. Good to see you reduced to the dirt you really are, minmagh. Assange was a member of the CIA , the good CIA. It all hangs on what the British government do with Assange now. Trump has survived one coup against a him, will he survive the next? As stated in 2017 Trump was offering a deal on absolving wikileaks Assange. The Official Dinar Chronicles Blog Page containing your daily Iraqi Dinar intel, rumors and news updates. Assange was NOT a member of the CIA. That's just horseshit. Trump should get no credit for his hypocrisy in this affair. His government lackies are going to extradite Assange and throw the book at him and lock him up. I heard that the Brit Judge at his first hearing called him names, similiar to the slurs above. It certainly makes me wonder what kind of 'justice' Assange will receive when the Justice has already decided on his character and denounced him to the nation. Rather makes me think of 'show trials' and the like, with hanging judges slapping down the defendant and readying the gallows. "There are good men and women at the CIA but if our publications are any guide they work for WikiLeaks.” Said Julian Assange. WikiLeaks founder Julian Assange has described the CIA as “dangerously incompetent,” in response to the US agency branding him a “friend of terrorists.” The war of words started after RT asked the CIA to comment on reports of its hacking exploits. Brilliant interview with John Pilger about "Heroe number 1 Julian Assange" He said the podesta emails on wikileaks show Clinton was backing jihadism in the middle east. According to wikileaks she knew what jihadis were doing when ISIS was at its height. During this time she became a defacto ally of jihadism by selling the biggest amount of arms in history to Saudi Arabia. He also told us that our phone can spy on us. Huawei phones are the only phones that NSA can't use tospy on us. He explains that the media is the extension of government. Wikileaks showed the destabilisation of Syria by the west. It exposed the Middle East war chess game by Western power in their hunt for oil. 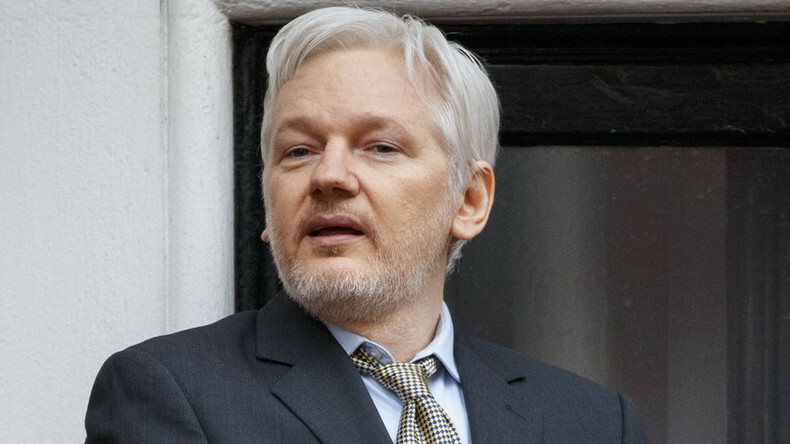 If we lose WikiLeaks, we lose a whole stratum of freedom — Pilger Hopefully Assange has that death button stash of files to protect him and that he isn't killed or further tortured. Wikileaks have been used to hold power accountable and in numerous court cases in both Russia, China and the west so that victims can receive justice. No, that's what Jewlying and co. want us to believe. He released over 800000 documents in Russia, China and US exposing murder, violations including video footage of massacres in Iraq. He is not Jewish I suggest you trawl through some of the wikileaks documents before commenting on an imprisoned journalist who has helped so many victims across the world. It is a good thing that wikileaks exists. Question more. That's right - a narcissistic creep, by all accounts. "Do not repay anyone evil for evil. Carefully consider what is right in the eyes of everybody. If it is possible on your part live in peace with everyone, do not avenge yourselves, beloved, but leave room for God’s wrath. For it is written: “Vengeance is Mine; I will repay ,says the Lord." The Bible.